To say that sports are insanely popular is an understatement. When 40,000 people are willing to drop everything to show up for a baseball game, you know you’ve got something big. It’s no surprise, then, that one of the most popular uses for live streaming online video is online sport streaming. 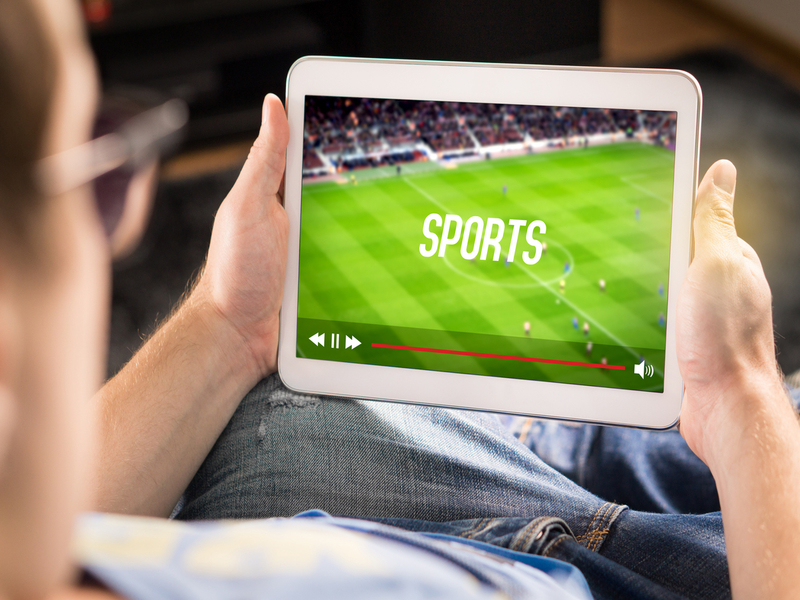 Sports are by far the most popular video programs ever broadcasted, whether on TV or online. Viewership numbers online are increasing rapidly. Live streaming of March Madness 2011 was up 60 percent over the previous year. For example, Adobe estimated that online sport streaming using their video platform increased 640 percent from 2012 to 2013. In 2014, the Winter Olympics Hockey final (U.S. vs. Canada) garnered 2.1 million unique viewers. In 2016, Super Bowl 50 was streamed to almost 4 million viewers, each watching an average of 101 minutes. Twitter, Facebook, and Yahoo now offer free MLB, NBA, and NFL online sport streaming of select games. This trend doesn’t stop with major sports leagues, either. Universities, colleges, high schools, and amateur sporting leagues are getting in on the action as well. One example is the growing NFHS Network, which streams high school sports games from more than 24 states. Another comes from NexGen Tour, which streams Ultimate Frisbee games from around the world. Schools like John’s Hopkins University are now streaming every sporting event online. In this article, we’ll focus on organizations and individuals who are broadcasting sports live over the internet. Specifically, we’ll review five steps to make your live streaming better, more rewarding, and easier than ever. Live streaming sports is different than streaming other events. For one, most other events don’t feature athletes moving at top speed. That’s truly one of the biggest challenges with sports live streaming: movement. Speed determines many of the settings and challenges that broadcasters face. Another factor for online sport streaming is the elements. Many sporting events take place outdoors, making weather a concern. This is a bit more of a side issue, but it’s still critical to consider. Proper weatherproofing for equipment should mitigate this issue without too much concern. Equipment is especially important for live sports. It’s not possible to stream with sub-par equipment and have a decent result. With online sport streaming, good gear and experienced camera operators are a must. Specifically, there are a few important equipment elements to consider. First, the camera. Any camera used for online sport streaming should be effective in low light. Sports events often happen in the evening, and lighting can be minimal. That means a relatively large sensor is important. Additionally, look for a camera with a wide T-stop or aperture. As far as recording quality, we don’t recommend any camera that records in less than 1920 x 1080 (or 1080p) full High Definition resolution. Increasingly, 4K resolution is becoming the norm, but it’ll be a while before 4K live streaming becomes the norm. If you want to be future-proof, use 4K. For now, a 1080p camera should last for years and provide excellent quality. Zoom is also incredibly important to get in close on the action. Without zoom, you’re left with wide shots that aren’t very engrossing. The amount of zoom you’ll need depends on the sport that you’re filming. For soccer or football, the field is huge, and you’ll need major zoom. With something like martial arts or boxing, on the other hand, the ring is quite small, and zoom is not as important. One note: be sure to look for a camera with optical zoom. So-called “digital zoom” is an inferior method that quickly degrades image quality. Video is worthless if it’s not in focus. This is especially true for online sport streaming, where crystal clear focus is important. If a critical play takes place and you can’t see the details, viewers will be upset. People expect video focus to be excellent. That’s why autofocus performance is important for sports video cameras. Ideally, look for a camera with fast, accurate autofocus performance. Various autofocus points will improve performance as well. However, the best way to ensure good autofocus performance is to read real-world tests from sports users. 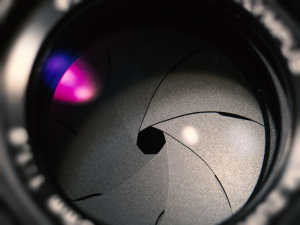 Their experience will provide the best guide to autofocus performance. If you have the budget, we recommend multiple cameras. These can be divided by function. For example, one camera can focus on wide shots, one on medium shots, and one on tight, zoomed-in shots. 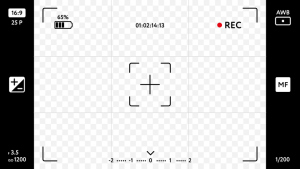 This allows you to cut back and forth between different angles. Of course, this will require a great deal of additional expense. Besides the cameras and operators, you’ll also need live-switching software, equipment, and an operator. Support for your cameras is also essential. In a sports setting, that often means a hydraulic tripod that allows easy, rapid panning between different areas of the field. Look for something that moves very smoothly. You’re looking for something silky. When it comes to online sport streaming, frame rate is important. That’s because fast action simply looks blurry at 24 or 30 frames per second (fps). This is especially true when you try to show slow motion action after the fact. Instead, we recommend recording at 60 fps. Frame rate will also influence your choice of camera. Many cameras don’t support recording in 60 fps. However, high-end sports cameras record at 120 fps and more to allow for crisp, super slow motion video. That’s likely outside the budget range for most people reading this, but that’s alright. Good-quality online sport streaming is still possible at 30 or 60 fps with a medium-price camera. With sports, avoiding buffering is especially important. Video skipping or lagging can totally ruin important plays. That’s the last thing you want to have happen during a critical moment of a sporting event. To avoid buffering, you want to be sure that you have adequate bandwidth to upload video. Another consideration is to be sure that you stream in multiple quality options. This ensures that viewers automatically receive the version that is best suited to their internet speed. You can learn more about both of these issues in our previous blog about live streaming bandwidth. After you have all the equipment you need for proper sports video, it’s time to worry about the software side. 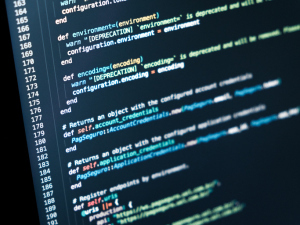 There are a few different elements to consider here, namely mixing software and the encoding process. Generally, live streaming encoding software builds in some of these features. High-end software platforms like vMix and Wirecast include encoding and live switching. vMix also offers all-in-one portable encoding hardware that runs custom versions of their software package. Whichever encoding system you choose, here are some key features to consider. In sports, another important factor is the speed at which things occur. Sometimes it’s simply too fast for the human eye to follow. In these cases, slow motion and instant replay allow you to play important moments again. Many high-end encoders and switching/mixing software packages allow for easy instant replays. That makes it simple to go back and highlight the best moments. For a live sport event, that’s a significant value-added feature. When it comes to a time-sensitive live event like a sporting match, outages aren’t acceptable. However, hardware failures or network problems do occasionally occur. To mitigate any of these potential problems before they become serious, we recommend a backup stream. In fact, it’s easy to set up a backup stream. Essentially, you just need to create an alternative live stream URL via your streaming host (e.g. DaCast). Then, simply plug this URL into your encoding software. If your initial stream goes down for any reason, it’s relatively easy to bring this alternate stream online. Here at DaCast, we offer this feature automatically for every stream. Simply plug our provided backup URL into your encoder and you’re set! Any failure in the first stream will automatically trigger the second stream to come online. Of course, all this investment of time, energy, and money into proper equipment isn’t worth much if you aren’t able to attract an audience. Promoting a sports live stream is just like promoting any other event. Ideally, you need to create a motivated audience that will share the word themselves. That means recruiting your biggest fans to help you advertise. 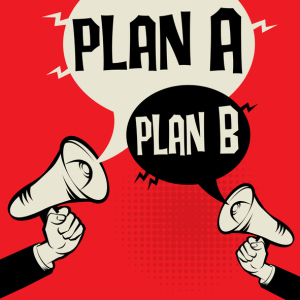 Generally, we recommend that broadcasters start promotion well in advance. Ideally, people should know about the event months before it happens. Use your newsletter, print publications, websites, and social media channels to spread the word. Send press releases to interested media outlets, and consider personal invitations to influential individuals in your field. One interesting thing you can do with live streaming is integrate with social media. This can occur in several different ways. First of all, you can embed your live streams on social media. Many streaming hosts, including the DaCast OVP, make this possible natively. Another type of social integration that is worth considering is via Twitter. As you likely know, fans widely use Twitter for live sports commentary. Some encoding software make it possible to highlight and display top tweets on-screen during live broadcasts. This can be ideal for making halftime shows and commentary more interesting. If you’re interested in making money from broadcasting live sports, you have a number of options. These include advertising, pay-per-view, and selling subscriptions or “season passes” for viewing online. Each method has it’s own pros and cons. Advertising is the most common model used on television. However, unless you’re attracting a very large audience, it can be hard to generate significant income from ads. That said, if your audience is very specific, niche companies may pay a premium to reach them, even if their numbers are small. Pay-per-view is a viable model for generating income via sports. This is true even for small sports and minor markets. Priced correctly, a game that generates a few hundred viewers can bring in thousands of dollars. 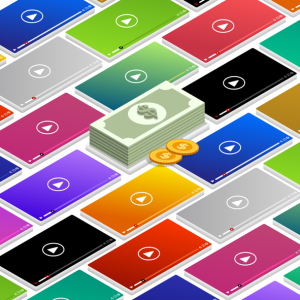 If you’re able to stream an event that has a higher demand, revenue can be even greater. The final model is the subscription, which is ideal for online sport streaming. This method allows true fans to bulk-purchase tickets to a whole season, tournament, or team. They’ll be able to save on the costs of watching, while providing you with a greater upfront purchase price. Broadcasters can implement all three of these models quite easily on live streams. With a streaming service provider like DaCast, users can implement a paywall right in the video player window. Visitors who want to view the stream enter their payment info right there and can start watching immediately. This makes it easy to generate income even from embedded video on social media and other websites. 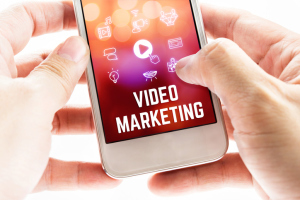 Finally, users can also insert advertising programmatically via API, or simply by manually editing it into a video stream. The best online sport streaming events don’t just peter out. Instead, they continue to involve the fan base after the event. In the case of sports, that can mean cutting together highlight videos, writing and producing video analysis, or polling viewers. This is all part of the follow-up after an event, and it can be essential for retaining a loyal audience. Proper follow-up offers two main benefits. First, it helps ensure that viewers for your last event stay tuned for the next game or match. This sort of loyalty will help make future events a success as well. Second, it brings in an entirely new audience, since you and your viewers can easily share and disseminate follow-up content. And that means more subscribers, more favorites, more likes, and better results next time around. Live streaming sports can be a challenge. The speed, size, and setting of various sporting events present unique obstacles to the broadcaster. However, online sport streaming also represents an opportunity to tap into a fervent audience and a growing market. 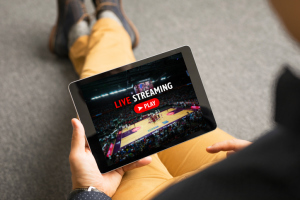 In this article, we’ve covered equipment, settings and software, promotion, monetization, and follow-up for sports video streaming. We hope these five steps will help you take advantage of the live streaming boom. Overall, it’s an exciting time to get involved in video production. Check out our platform and test all our great features for yourself! Sign up today to try free streaming for 30 days (no credit card required). Let us know what you think in the comments and, as always, thanks for reading!